Click to View More Articles . 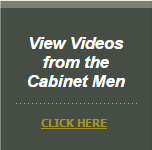 . .
Bill and Ben the Cabinet Men caters for both new homes and kitchen renovations. Our designs are award winning, and our cabinets are manufactured and built to individual specifications for home owners and builders. We only use the best materials to ensure our custom designed kitchens have the professional finish you would expect. And our new showroom is full of great ideas and insights. Owner Shane Bloomfield, has over 28 years experience in the industry as a kitchen designer and cabinetmaker. Shane dedicates his knowledge and skills to working with clients from consultation, design and implementation. 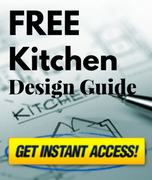 So your dream kitchen becomes your new kitchen. We have state of the art machinery and programming software, and we provide our clients with an image of the kitchen in 3D for peace of mind. We also advise on design and colour matching and can work directly to any architectural specifications. You can find hundreds of Townsville kitchen renovation photos in our Kitchen Gallery and "before" and "after" photos of our latest HIA Award Winning Kitchen. Also visit our Testimonials page to read some of the feedback on our kitchens and service.